Google has changed almost everything lately. They’ve changed the design of their homepage, their results pages, the Gmail Calendar, Google Places, Google Maps, Google Voice, Google Alerts, Google Checkout, Google Book Search, Google Shopping, and Google Docs. 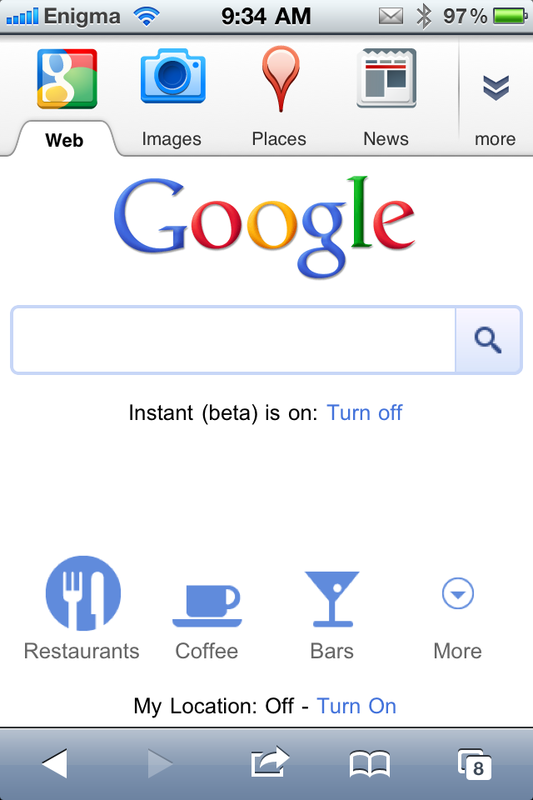 The new Google Mobile is so new they haven’t updated their example screenshot on the Google Mobile homepage. Also, we can’t ignore the design they’ve been testing for Google Analytics. Honestly, I really don’t like that one. Speaking of Google Mobile, I think they’re missing the mark, or slightly ahead of themselves here. 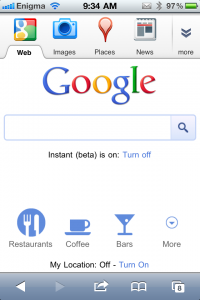 The reason I say this is because of the new integrated Google Instant results on Mobile. My phone and it’s internet connection can’t keep up which causes long and annoying delays between keystrokes as the results are updated. It might be different if you have 4G service, I don’t know. I have an iPhone 4. I’ll test it next time I’m around a friend with 4G service. I can’t remember the last time Google made such widespread changes to their designs.